I'll admit it, I'm not a big reader of Non-Fiction. I tend to enjoy reading fiction and visiting made up worlds and made up stories instead of reading about the real world. However, I am branching out and reading books that I wouldn't normally read and I knew I would have to read some Non-Fiction at some point. When I found out about Big Magic via YouTube it sounded like a Non-Fiction book that I would be interested in. So I went to my local library and picked it up! Big Magic is written by bestselling author Elizabeth Gilbert (who wrote the famous book Eat, Pray, Love) and its partly a self help book and part memoir on how to be creative and embrace it and not be afraid of it. Gilbert asks us to embrace and low our creativity and to let go of out so called fears. She shows us how to tackle what we love and how to ultimately face our fears, such as; what if no one likes our work? what if I'm useless at this? what will others think?. She wants us to uncover the jewels hidden inside of us. Whether we are looking to write a book, play an instrument, make art or just find new ways to tackle the challenges we face in everyday life. I couldn't have read this book at a better time! 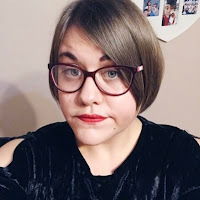 I am embarking on a creative adventure in a few weeks (I'm off to do my Masters in Creative Writing) and I'll admit I am scared, but reading this has helped some of my fears to disappear! It's so inspiring. I really enjoyed the way that Gilbert spoke about Big Magic and how we can find creativity in everything. We don't have to be artists or writers to be creative. We can be everyday people in everyday jobs and still be creative to our full potential. I think it conveys the idea that our creative outlets are gifts from the universe - hence the term 'Big Magic'. I loved reading all the stories that were put into the book to accompany the message it conveyed. I really enjoyed the story about her and Ann Patchett. Who after meeting, both realised they had the same idea for a novel! It showed me that if you don't get your creative idea out, someone else might and that has stuck with me since reading Big Magic. I also enjoy how honest this book is. It's not telling you to give up your job and start a full time career being creative, it isn't possible! Gilbert mentions that she worked her day job for years whilst writing, just to pay the bills. This is real life and I admire her for not making creativity out to be this flashy career when in reality it doesn't work like that. Overall Big Magic was a real eye opener and inspiration for me, especially at this stage in my life. I have taken a lot away from it such as not fretting if your chosen creative outlet is perfect or not, making time to squeeze your creativity in amongst a busy schedule and to always pay attention to a creative idea no matter what. I am so inspired right now and I think it is due to this book. A must read for all types of people - creative or not! 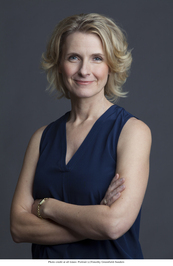 Elizabeth Gilbert is an award-winning writer of both fiction and non-fiction. Her short story collection Pilgrims was a finalist for the PEN/Hemingway award, and her novelStern Men was a New York Times notable book. Her 2002 book The Last American Man was a finalist for both the National Book Award and the National Book Critic’s Circle Award.